It’s fall, the leaves are turning various shades of red, yellow and orange, people are drinking glasses of pumpkin-flavored beer, and that means it’s time again for the Louisville Brewfest. This year, there will be roughly 50 local and regional beers for the tasting, along with nearly 30 wines and a couple of bourbons. It happens this Friday, Oct. 17, at Slugger Field. Of course, you can always get a full 12-ounce pour if you find something you like for a mere four tickets. Ditto on wine and bourbon, although the prices and pour sizes vary accordingly. There’s plenty to like about the 2014 version of the festival. You’ll get to taste some interesting local brews like Against the Grain’s Rico Sauvin and Alt Ore Boi, along with some staples such as New Albanian Brewing Company’s Hoosier Daddy, Great Flood Brewing’s Brown Ale and BBC Taproom’s new Louisville Lager. A couple of the aforementioned pumpkin beers will be available for tasting, if you like that sort of thing (pumpkin flavoring seems to take over beer every October): Cumberland Brews will have its Roasted Pumpkin Ale and Bluegrass Brewing Company will offer its Country Pumpkin. On the regional front, Rivertown Brewing Company of Cincinnati will have its Roebling and Lil’ Sipa IPA, while Bloomington’s Upland Brewing Company will feature its Champagne Velvet and Wheat beers. Also, you’ll get to try the pilsner from Danville-based Beer Engine, which plans to open its long-awaited brewery and restaurant in Germantown in early 2015. VIP tickets sold out, and the Louisville Independent Business Alliance crew, which organizes Brewfest, expects a good crowd. Also, My Old Kentucky Homebrew returns with a bigger, better version of its “brewseum,” which will be located on the Overlook Deck. The brewseum is a trip back in time for a look at Louisville’s brewing history throughout the past 150 years and then some. Among the artifacts are a Schaefer-Meyer Brewing Company case from the 1890s, an original “Fehr Bear” advertising statue and a Fehr’s-sponsored painting that hung in the Fontaine Ferry beer garden, circa 1880-1900. 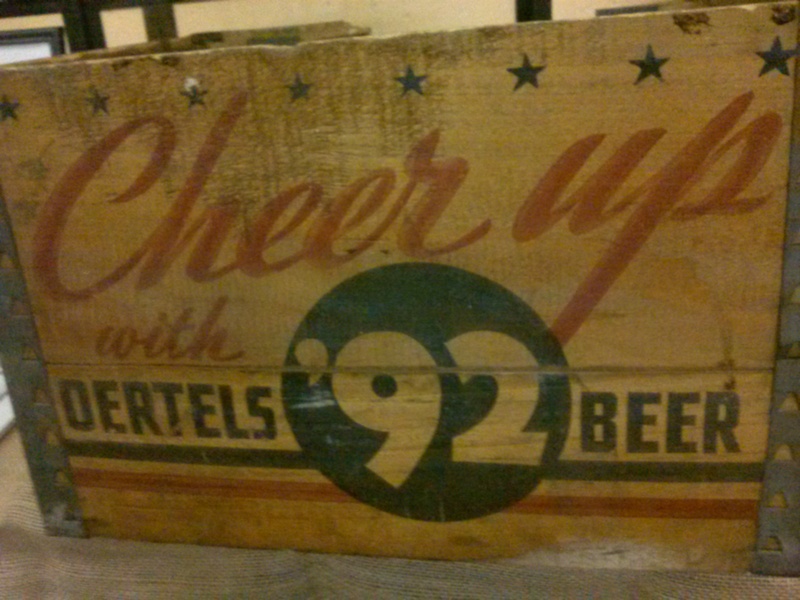 There are also Prohibition-era documents and bottles, plus plenty of memorabilia from Falls City, Oertel’s and other Louisville breweries of the past. There’s also a map pinpointing the locations of all past Louisville breweries. “It’s going to be out of this world,” says Paul Young, owner of My Old Kentucky Homebrew and curator of the brewseum. “We have twice as much stuff this year. It really does look like a museum exhibit” when fully set up. There is no additional charge to visit the brewseum; Slugger Field will charge $5 for parking in its lot, but there’s plenty of street parking around the stadium. Designated driver admission is free, and water is free (bring your own bottle). 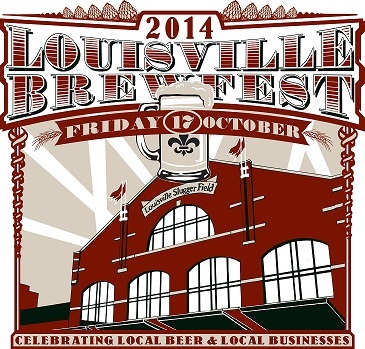 Also, there will be an official Louisville Brewfest after-party just a few blocks away at Haymarket Whiskey Bar. You’ll get free admission with your Brewfest wristban; SqueezeBot will perform and special drinks from Brewfest partner Heaven Hill will be available at the bar.